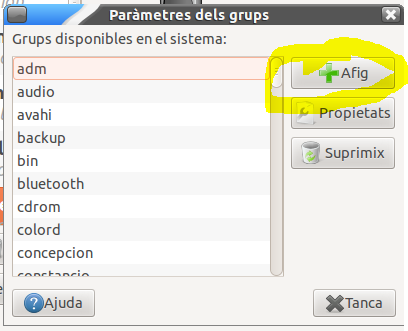 To manage the users and groups, Lliurex uses a program called admin-users, this program is installed, although doesn't appear in the Lliurex Menus. Write users-admin and tap in the enter key. The following table shows the groups you must create and the users you must include on them. Capture your real machine deskto. 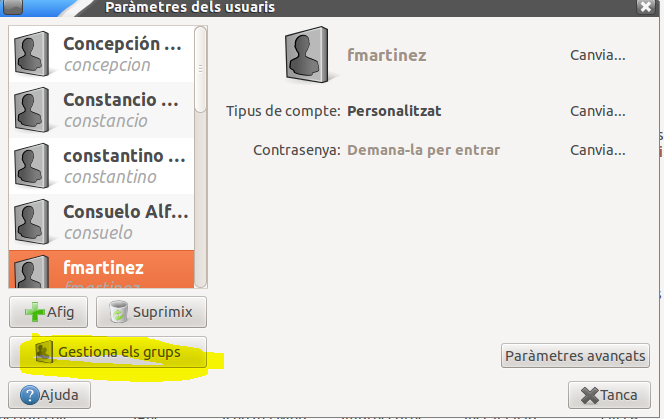 The users-admin screen must be visible and showing the groups you have just created.